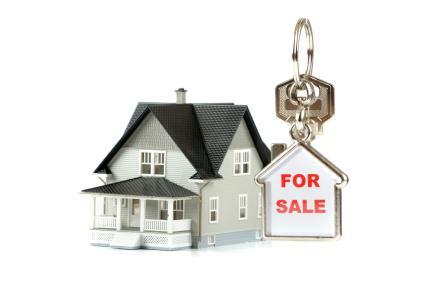 Have you recently decided to list your home on the real estate market in Ottawa? Then before you do anything else, you need to take a few moments to read my blog. Today, I’m going to tell you about the crucial steps that you should take before you list your property on the market. Trust me, by taking these steps up front, you’ll ultimately save yourself time and money. What Should I Do Before Listings My Home on the Ottawa Real Estate Market? First, consider your motivation for selling. In other words, do you have a solid reason for wanting to list your home on the market or is it more of a whimsical fantasy. If it’s the latter, think long and hard before you take that next step toward listing your property. After all, navigating the real estate market isn’t always going to be easy and having a valid reason for selling your home in the first place will keep you grounded during those times. Prepare for the purchase of your next home. Generally speaking, you should sell first and buy second. Still, it doesn’t hurt to be a little prepared for where you’re going next. So take the time to make a list of those neighborhoods where you may want to live and then visit them. Maybe even consider checking out a few open houses or comparing what homes have recently sold for in the neighborhood. This will give you a better idea of what to expect as a home buyer when it comes time to purchase your next home. Interview real estate agents. While you may be tempted to navigate the real estate market alone, I can assure you that it’s much more effective to work with an agent who really knows the market. You want to work with someone who has experience selling in yoru price range as well as your specific neighborhood. And you want to be able to see that they have a proven track record for getting their home sellers to closing. Find a Lender. Why would I need a lender if I’m selling my home, you may ask. It turns out, there are many reasons why. First, you want to have a lender who can tell you how much you need to pay off your current home. You also should take this opportunity to purchase a beneficiary statement. Next, request a Good Faith Estimate and compare rates and fees. Finally, ask for referrals to mortage brokers from agents. You’re going to need these contacts when you decide to purchase your next home. I hope you found the above information insightful as a prospective home seller. Now if you’re ready, contact us, Geoff and Bobbie McGowan, today to move forward with listing your property on the market. We would be more than happy to assist you by answering any questions you may have and providing you with some valuable home selling resources.